Well, the season ended with the League Cup Final at Consett when we were beaten by Dunston UTS by a single goal. A great effort from all the team and especially the Under 23’s who were drafted in for the semi-final and the final. 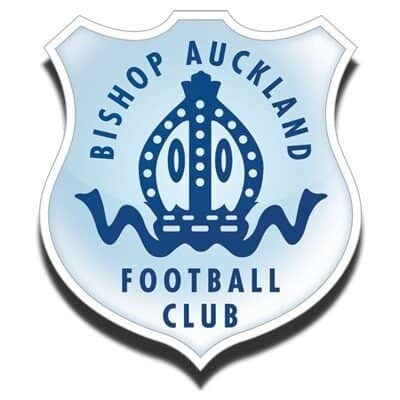 There was a great turnout from Bishop Auckland supporters (as usual) and we were all disappointed to lose but very frustrated at the disallowed goal. Despite all the ridiculous speculation (some from the Northern League itself) that up to five teams could be relegated the three teams to go down were Billingham Synthonia, Washington and Jarrow Roofing. Jarrow Roofing subsequently resigned from the League and have folded so I send my best wishes to Billingham and Washington for next season. At the League’s Annual Dinner the Club was presented with a cheque for £250 as League Cup Runners-Up. Tony Duffy and myself sat at the same table as officials from Hebburn who have been promoted to the First Division and they are wonderful people and we look forward to welcoming them to Heritage Park next season along with Whickham and Blyth AFC (who will be ground sharing with Ashington next season). The work on the pitch is going very well which you can see from the pictures taken by Peter Jackson (‘Elmerbat’ on Flikr). The work has been overseen by Middlesbrough Head Groundsman Tony Bell and Peter and Dave Illingworth are putting a lot of time at the ground carrying out the scheduled work now the grass is growing. 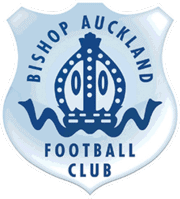 Ian Chandler is settling into his role as Manager and former Bishop player Brian Rowe will be his Assistant. They are talking to players from last season’s squad and potential new players. Registrations can start after tomorrow’s Annual general Meeting of the Northern league so I’m sure there will be plenty of announcements in the coming weeks. The Board has decided that admission prices will remain the same next season and season ticket prices will go on sale from next week online, the prices to reflect two less teams in the League will be Adults £90, Concessions £55, Juniors £25. In addition Season Ticket Holders can buy a car parking space for £20 with their season tickets. Car Parking reservations for all others with be £40. Seat reservations in the main stand will be £20. Family season tickets will also be available – prices on request. The new two-blue halves strips , with the NE First Credit Union logo, have been ordered and replica shirts will be available at £45 (including VAT). Online pre-ordering will be available shortly. I am pleased to announce that the new red change strip will be sponsored by Comtek System Solutions – many thanks to Richard Cooke for his continued support. Off the field there will be changes after the Club Annual General Meeting which will be held on Thursday 26th July at 7pm at Heritage Park. Our Commercial Director Dave Mills has left the Club for personal reasons. On behalf the everyone at the Club I would like to thank Dave for all his hard work in not only bringing in a substantial amount of sponsorship but also for the professionalism he brought to match days at Heritage Park. As a friend I will continue to see Dave away from HP and I hope we will see him at HP to watch games next season. In June 2016 Richard Tremewan resigned as Chairman and I was asked to replace him which I agreed initially intended to be ‘short-term’. After two years I have decided that I will resign from the position as Chairman and a Director at the AGM. « AJ signs on the dotted line…..